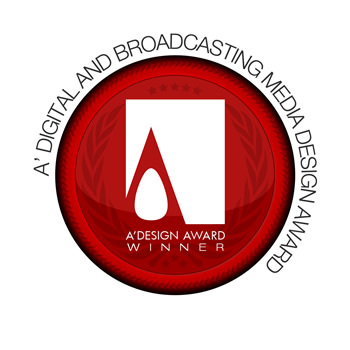 The A' Digital and Broadcasting Media Design Award is a specialized design competition that accept entries from digital publishers and broadcasting media. Both products (such as applications, online platforms), and full publications are accepted from worldwide editors and publishers. Organizations, businesses, communities, schools, individuals and agencies embracing digital media worldwide are invited to enter their works. The A' Design Award for Digital and Broadcasting Media is not just an award, it is the indicator of quality and perfection in digital publication, the award is recognized worldwide and takes the attention of design oriented companies, professionals and interest groups. Winning the A' Award is a certificate of excellence for publishers and editors, an important milestone in your career as well as a strong tool to reinforce and strengthen your publications’ brand value and international status. The winners of the A' Digital and Broadcasting Media Design Award are provided extensive and exclusive marketing and communication services to promote the success of winning the A' Award. Having the A' Award gives added value to your publications and separates them from the rest of media, it is an excuse to communicate your publications to others, a reason for press releases. A' Digital and Broadcasting Media Design Award especially invites entries of electronic versions of traditional media publications as well as new media publications. Electronic Publications, Online Magazines, Online Newspapers, E-Books, Electronic Journals, Portable Guides & Digital Encyclopedias, Online Television & Entertainment Channels, Blogs, Collaborative Software, Mobile Applications, Digital Publication Applications, Podcasts, Enhanced Publications, Online Business & Information Portals, Forums & Digital Community Platforms, Digital Articles and Digital Content Platforms are especially invited to take part in the accolades by completing their registration. The A' Digital and Broadcasting Media Design Award provide an opportunity for digital publications worldwide to benchmark their publications. Laureates of the A’ International Digital Media Awards will be able to reach new and further audiences, and strengthen their position in the publication industry as an award winning institution. The Aim of the Digital and Broadcasting Media Award is to highlight and recognize digital publications and broadcasting media that are not just engaging and inspiring through their original content and visual design, but also responsible, ethical and accessible. Participating in the accolades helps to separate you from the rest of the actors in the broadcasting industry by honoring your institution with a prestigious award. Award winners will be able to use a title that matches their nomination category: Such as "Broadcasting Application Design Award Winner". Main Image* 3600 x 3600 pixels JPEG A screenshot of your online publication positioned in the primary target device where it would be accessed (For example placing an online magazine in a computer screen). Alternatively, the logo of the magazine on white background, sized at 65 to 85 % of the canvas depending on available margins. Optional Image #1 1800 x 1800 pixels JPEG Printscreen of the website, or the cover of the PDF edition, scaled to fit the canvas or beautifully trimmed. Optional Image #2 1800 x 1800 pixels JPEG A page from the publication, preferably showing a prominent or popular section, editors' corners etc. Optional Image #3 1800 x 1800 pixels JPEG Another page from the publication, preferably showing a prominent or popular section, editors' corners etc. Alternatively, a collection of pages. Optional Image #4 1800 x 1800 pixels JPEG The cover of the first edition of the magazine, or cover of older editions, or some other page from the publication. Documentation* Max. 40 x A4 Pages PDF A limited version of the magazine featuring some sections, including masthead, cover, and other details and the media kit. Video File Max. 10 MB. 45 Sec. AVI Conceptual Video, Short Feature or Advertisement of the Magazine if any, could include media kit, history etc. 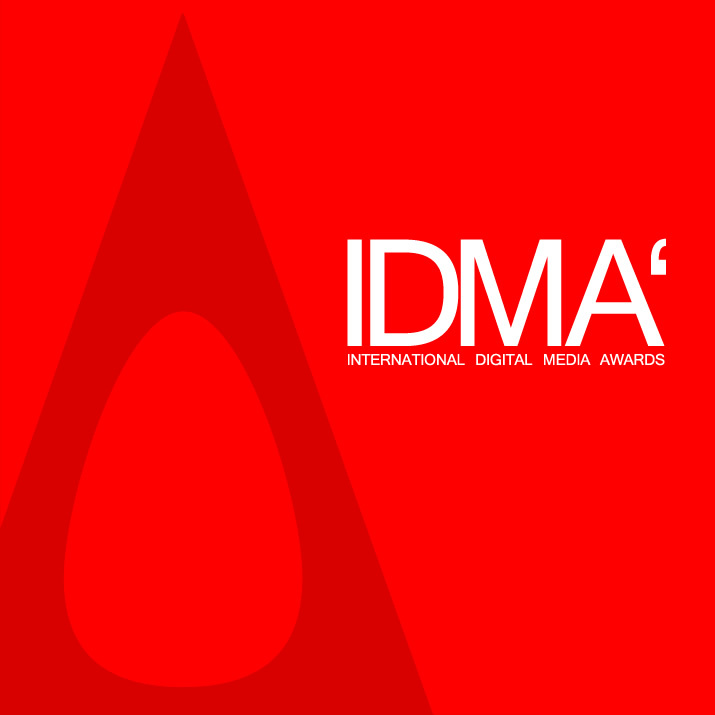 IDMA - The International Digital Media Awards, is a major design award category part of A' Design Awards & Competitions. Enter your digital publications and content for fame, prestige, publicity, credibility, recognition and international reach.